Hey there Doodlebug fans! 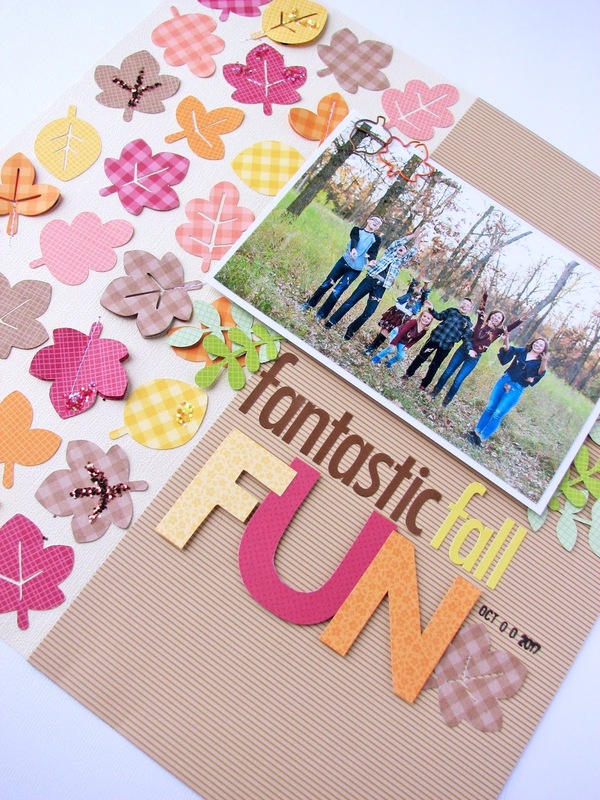 Nicole here today to share a fall inspired using some Doodlebug Designs Petite Prints! Doodlebug has so many great Petite Prints patterns available and the Gingham-Linen patterns are SO perfect for fall. 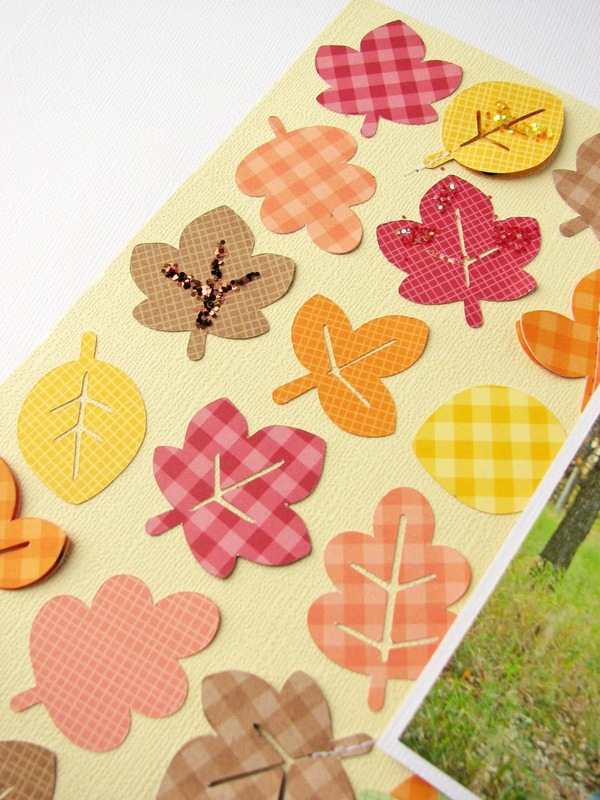 I chose to the Gingham-Linen Petite Prints in colors such as Ruby, Maple, Limeade, Grasshopper, Coral, Mandarin and Bumblebee and cut them into small leaf shapes, using a Doodlebug Designs Silhouette cut file. 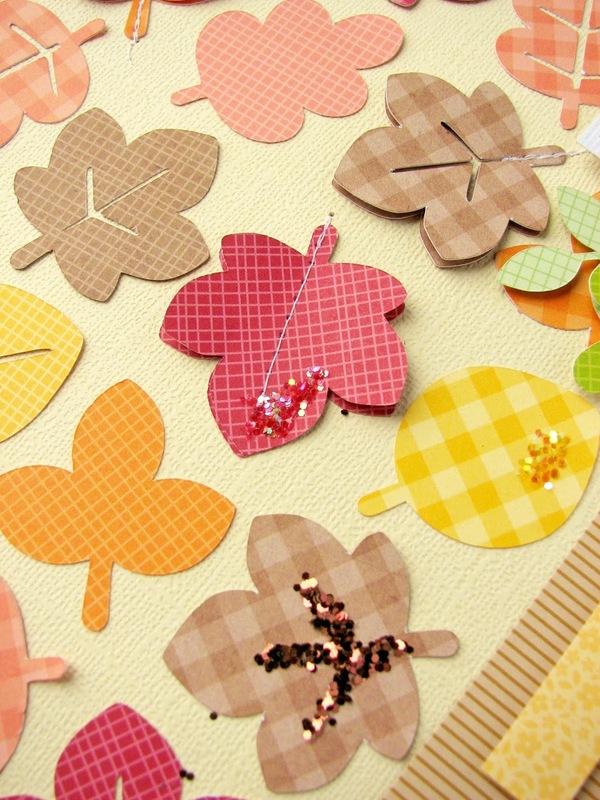 Once all the leaves were in place, I added a bit of Doodlebug Designs Chunky Sugar Coating Glitter to some of the leaves with some wet glue to add just a touch of sparkle and texture to my page. I hope you can find a way to add some of the Doodlebug Designs Petite Prints to your next project! That's a really cool idea -- making your own "patterned paper" by using die cuts. Very clever. Thanks for the idea.